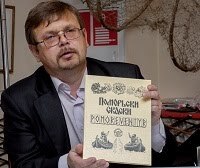 On 22 January in the Oktyabrsky district court in Archangelsk judicial proceedings will open into the case of Ivan Moseyev, the 47-year-old director of the Pomor Institute of Indigenous Peoples and Minorities research and education centre at the Northern (Arctic) Federal University named after M.V. Lomonosov. He is charged with inciting hatred and hostility towards the ethnic group "Russians" (Part 1 of Article 282 of the Criminal Code of the Russian Federation). The prosecution of Moseyev is being brought by the Federal Security Service. The interests of the civil activist are being represented by the Agora Human Rights Association. According to investigators, Moseyev published comments on the internet "containing degrading descriptions and a clearly expressed negative and unfavourable emotional evaluation of the ethnic group "Russians," inciting public hatred towards this ethnic group on the basis of ethnicity." In the last year alone Moseyev has: had his telephone tapped, been subjected to searches, been suspected of collaborating with the Norwegian security services, had his bank accounts frozen by the Federal Financial Monitoring Service and, most strangely of all, been accused of attempting to secede the Archangel Region from Russia, aligning it instead with some kind of United States of Europe. Ivan Moseyev is pleading not guilty and is linking his criminal prosecution with his active civil stance in defending the interests of the Pomor people, says a correspondent for the Open News Agency. "You can see that there have been similar attempts in the past by the security services to institute criminal proceedings as a way of dealing with civil activist undesirables in various regions of Russia, in particular in Karelia and the Tyumen Region," says one of Ivan Moseyev's representatives, lawyer and legal analyst for the Agora Association Ramil Akhmetgaliyev. Today the Pomors are an unrecognised ethnic group of between 2,000-3,000 people. They have so far not been included in the consolidated list of indigenous minority peoples of Russia. The court session on 22 January in the Oktyabrsky District Court in Archangelsk is due to start at 10:00 am.